What a sweet photo of a handmade toy mouse. And ofcourse the saying is perfect isn’t it? Who made the mouse? Sorry, don’t know where her mouse came from. Bravo Carol! I noted that the mouse also does not use a real Google+ map either. The “way” comes form the inside which makes it harder to figure out. In these early years of the 21st Century, it seems harder and harder to sing from the same page along the “way”. God Speed! Love this saying. I know I need to work on this more in my life. 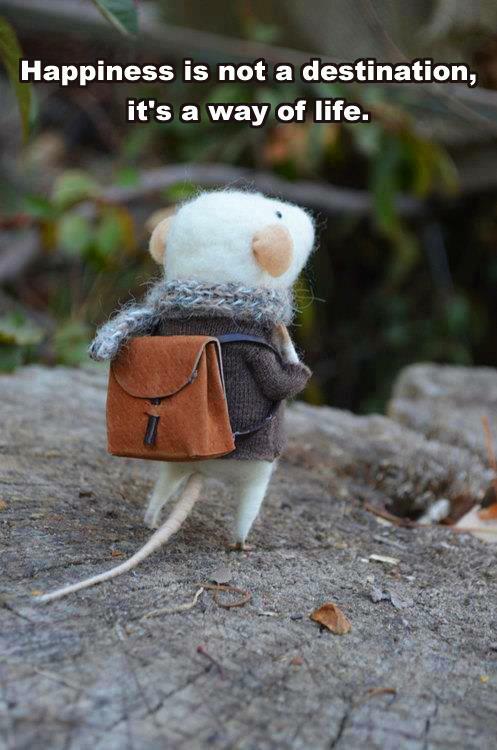 The little mouse with a backpack makes it all that much more adorable.